If you’re itching already, you can click here to buy it. Otherwise read on. The Stoker Series was originally published from 2009 to 2011. We launched the series as a means to investigate some of the more obscure but no less interesting corners of Bram Stoker’s life and literature. The sort of fragments that might otherwise not find their way into publication. The first booklet is a brief history of Dublin’s Bram Stoker Society, founded by Leslie Shepard in 1980. Among other accomplishments, the Stoker Society paved the way for the installation of the memorial plaque that can still be seen on Kildare Street to this day. 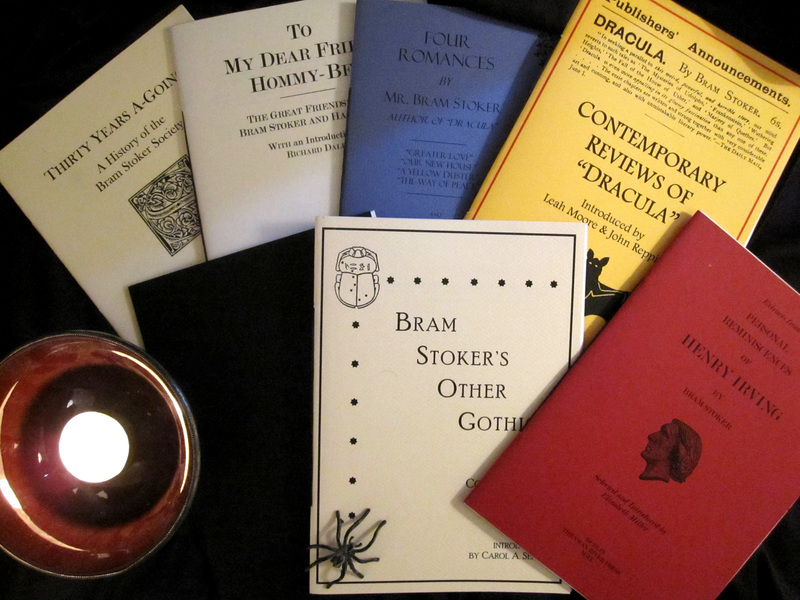 The second booklet, Four Romances by Mr. Bram Stoker, features a quartet of previously uncollected short stories. Don’t be put off by the title—some of the “romances” are quite startling. The booklet is introduced by Stoker biographer Paul Murray, and features illustrations from the stories’ original magazine appearances. The third booklet, fully illustrated with first edition book covers and newspaper reviews, is Stoker’s Other Gothics. As the subtitle “Contemporary Reviews” suggests, scholar Carol A. Senf looks at how Stoker’s other Gothic novels (the not-Dracula-ones) were received by the public when they were first published: Lair of the White Worm, Lady of the Shroud, Under the Sunset, etc. The booklet also reproduces the rarely seen dust jacket for The Jewel of Seven Stars. Booklet the fourth was edited by world-renowned Stoker scholar Elizabeth Miller, who chose extracts from Stoker’s Reminiscences of Henry Irving, in which Stoker details his encounters with luminaries of the day including Ellen Terry, Tennyson, Richard Burton, Buffalo Bill, Franz Liszt, and Walt Whitman. There’s a rare photograph of Stoker in this one too, on board a transatlantic ship. And I think he’s wearing a flat cap. The fifth booklet is not unlike the second—it features contemporary reviews, only this time you get your Dracula fix. With an introduction by Leah Moore and John Reppion (who wrote a fantastic Dracula adaptation for Dynamite Comics), this booklet aims to explore the myth that Dracula was ill-received on first publication. As with Bram Stoker’s Other Gothics, it features first edition cover reproductions. The sixth booklet, To My Dear Friend Hommy-Beg, was edited by legendary anthologist Richard Dalby, and explores the friendship between Stoker and novelist Hall Caine—you’ll recall that Stoker famously dedicated Dracula to Caine. 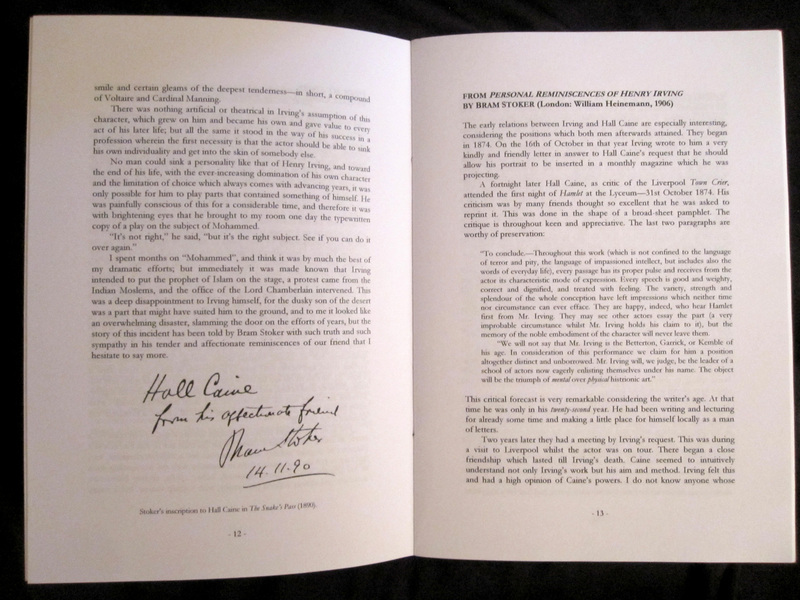 This booklet features reproductions of inscriptions from Stoker to Caine, including a facsimile reproduction of the inscription Stoker wrote in Caine’s own copy of Dracula. The series is worth it for that alone. The final booklet is another dream come true. 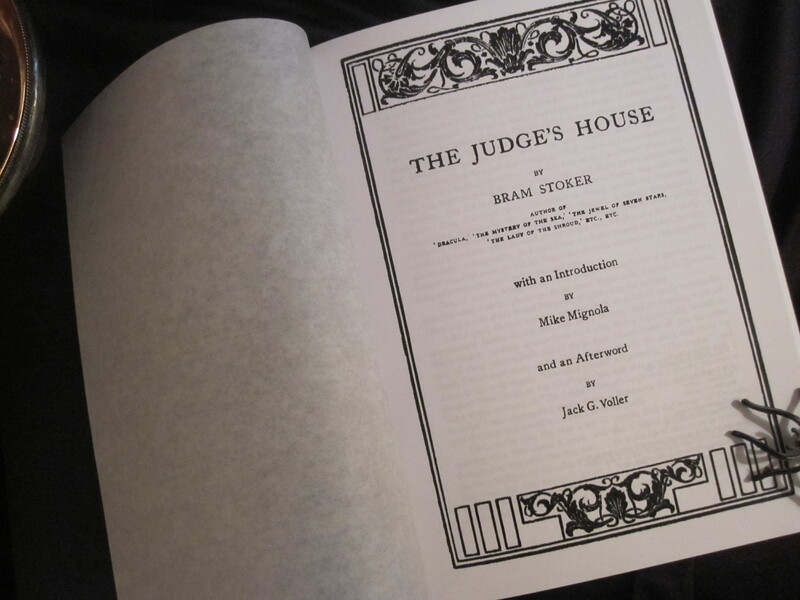 For this one we worked with Hellboy scribe and artist Mike Mignola on a definitive edition of Stoker’s haunted house story “The Judge’s House”. Mike not only wrote an introduction to the volume, but also provided an original illustration. How cool is that? 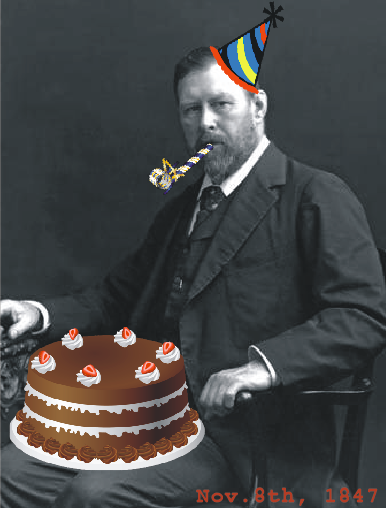 We’re quite proud of the Bram Stoker Series and hope you’ll take advantage of the special price we’re offering on Stoker’s birthday. The goal of the series was (and remains) to get people to explore Bram Stoker’s life and works in a broader context. We hope we’ve achieved that with these publications. Oh, and the first ten orders will also receive a special bonus gift (I’ll let you know what that is when you order). Click here to order. 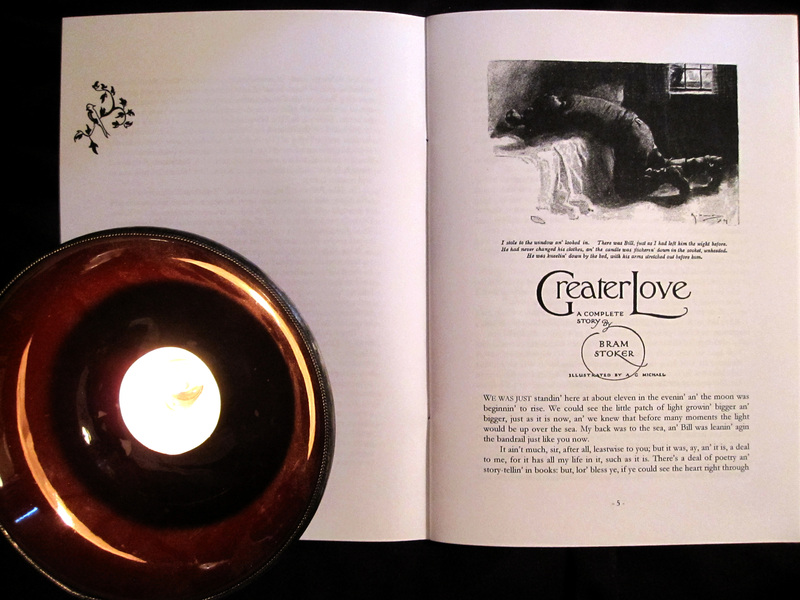 And if you’re looking for another unique Stoker item, we’ve also reprinted a newly discovered ghost story by Stoker in issue six of The Green Book. You can order a copy of that here. It’s pretty cool cause it’s not been reprinted since 1873. And if nothing else, we hope tonight you’ll pull your old copy of Dracula down from the shelf and raise a glass to the memory of Mr. Stoker!